Names/Certificate is the limit on how many domain names you can include in a single certificate. 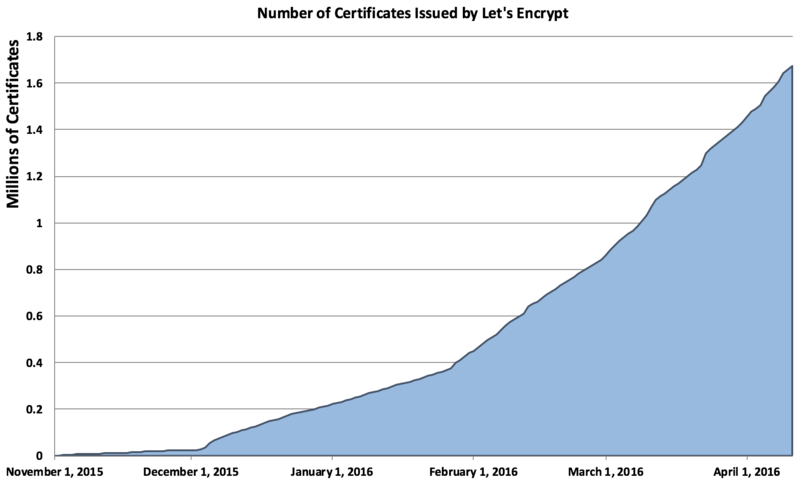 This is currently limited to 100 names, or websites, per certificate issued. Certificates/Domain limits how many certificates can be issued that contain a single registered domain*. This is limited to 20 certificates per domain per week. Exception: When you request a certificate with the same exact set of FQDNs as previously-issued certificate, this rate limit does not apply, but the one below does. This entry was posted in Computer, Murmuring, Network, Security, WWW and tagged beta, certificate, domain, letsencrypt, limit, quota, rate, renew, ssl, tls on April 13, 2016 by Gea-Suan Lin.